2010 has already been one baggage-filled year and we’re only 3/4 of the way through it! 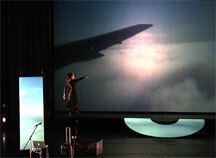 On the heals of finishing my 4 month Baggage Allowance solo exhibition at the Krannert in Illinois and completing my one-week performance run of Baggage Allowance at Theater Artaud in San Francisco, I moved for the first time in 15 years (albeit only 20 feet over). It’s taken me almost all summer to really get myself settled into my new live/work studio (right next door to my old one). But also I managed to fit in two trips to New York to rehearse and perform with Rinde Eckert in Elise Kermani’s Film/Performance hybrid "Poe and the Museum of Lost Arts" at Three-Legged Dog. 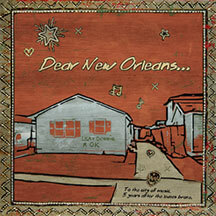 And, I squeezed in the time to remix one of my earlier pieces for inclusion as a bonus track on Air Traffic Control’s benefit compilation "Dear New Orleans”. In addition to my New York performance, this fall I’m giving solo and shared concerts in San Francisco, Santa Barbara, Irvine, and Houston. I’m also composing music for Mary Armentrout’s new dance work, doing a one-month residency at Djerassi (Woodside, CA) and, in early 2011, a two-month residency at the Montalvo Arts Center (Saratoga, CA). 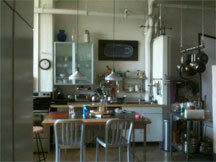 Also, quietly but steadily simmering on the back burner is the 2010/11 Room Series. Keep your eyes & ears perked for soon-to-be leaked news of some of the special guests I will be presenting at Royce Gallery. Baggage Allowance is a sonically and visually layered work focusing on the concept of baggage in all its literal and metaphorical permutations. Through vocal performance with electronic processing, found text, and recorded interviews, multi-channel sound, interactive video, and sculptural objects, Baggage Allowance scans and inventories the belongings (and memories) we all cart around – examining baggage as both impediment and treasure. 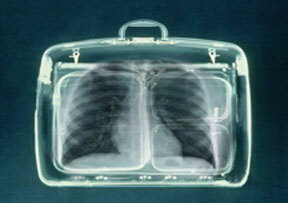 See the Baggage Allowance trailer here. Pamela Z performs Solo as part of an evening called "Ruckus"
An evening featuring Dichotomous (a company working with Dance and technology with wireless sensors, & projections), Cloud Eye Control (A Los Angeles-based performance group combining interactive media with live performance), and Pamela Z ( a composer/performer working with voice, electronic processing, interactive video, and gesture conrollers). in conjunction with the "Born in a state of FLUX/us" exhibition. 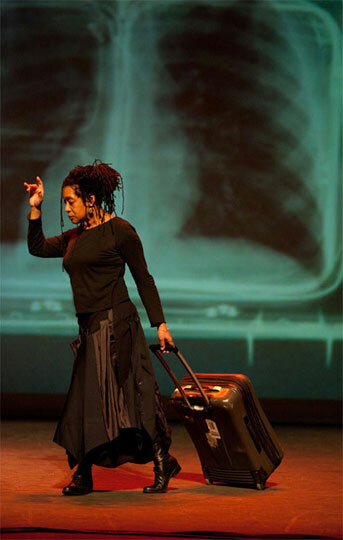 Pamela Z gives a solo concert for voice, electronics, and video, in an auxiliary event to the retrospective exhibition of Fluxus artist Benjamin Patterson.